We ensure your trees are dropped safely. Our experience and techniques are proven day in and day out. 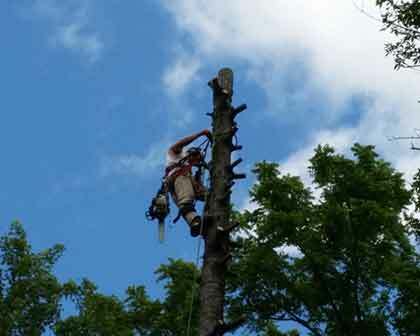 American Arborists Tree Service Inc. carry both workman's compensation and liability insurance. CLICK HERE to download American Arborists Brochure. An American Arborists Tree Service expert will look at the tree or shrub type, abnormality patterns in roots, leaves, and trunk, as well as surrounding factors to determine the nature of the problem. It is essential to distinguish between an infestation, an infectious disease and a non-infectious disorder to determine the treatment that will be effective. In an urban environment trees do not have access to the abundance of nutrients found in decomposing plant matter of a forest floor, so fertilizing trees and shrubs on residential property is essential. 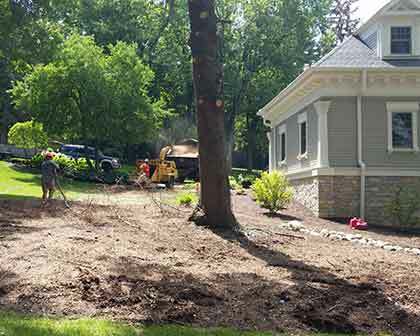 American Arborists Tree Service uses micronutrients and biostimulants to help with the trees vigor. Tim has provided great service to us over the years and he and his crew are friendly and knowledgeable. I have always been very happy with the quality and cost of the work. Tim is treating our ash tree to help prevent emerald ash borers as well as routine trimming and tree removals/trimming. Great work! I have used American Arborists for over five years. 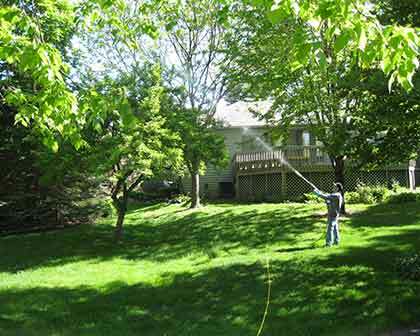 They have maintained and pruned my trees, provided insect control serivces and kept my property beautiful.